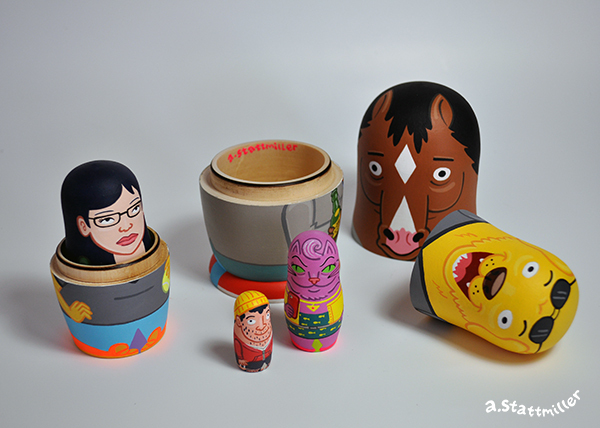 Bojack Horseman Nesting Dolls now exist on this planet! 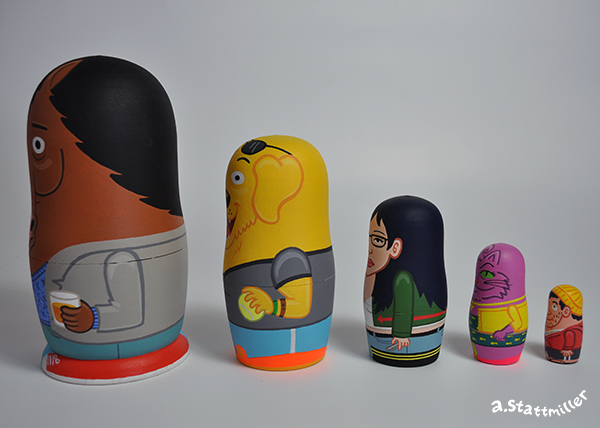 You know the Netflix Animated Series. 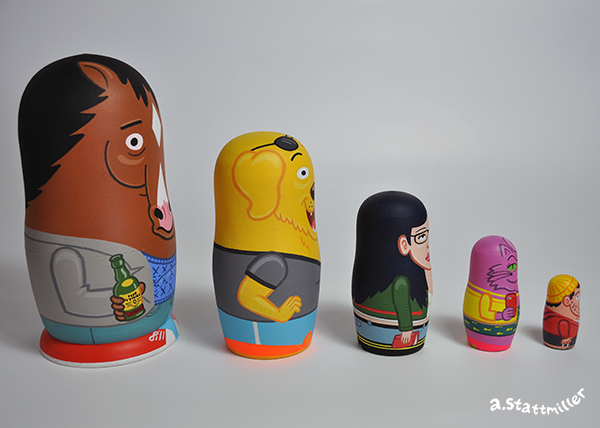 Featuring Bojack Horseman, Mr. Peanutbutter, Dianne Nguyen, Princess Carolyn and Todd Chavez. 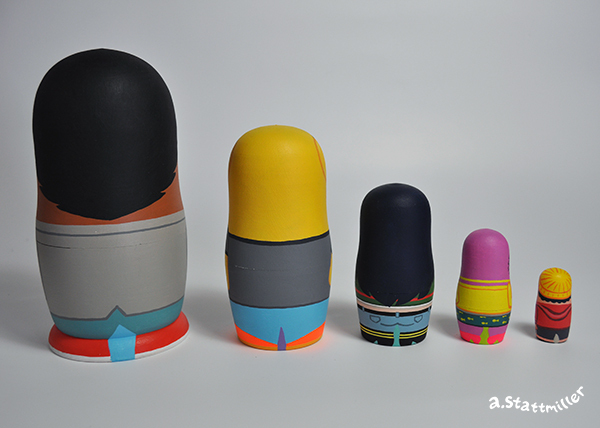 The large doll is 6" tall and the smallest is 1". 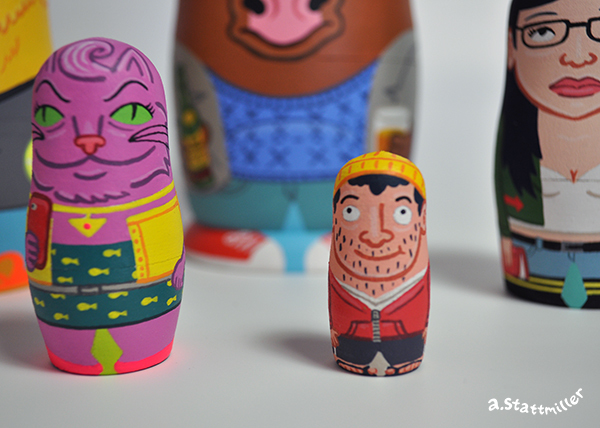 All hand painted with acrylic on wood dolls. 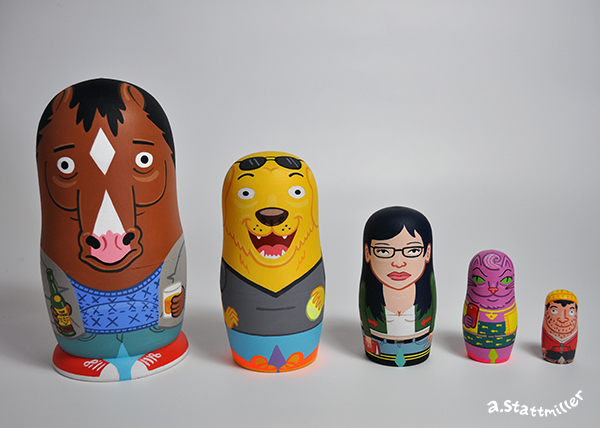 These guys will be part of Gallery 1988's Bojack Horseman art show! 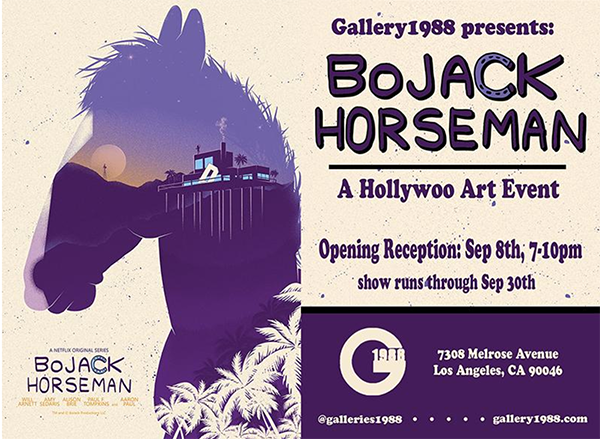 The show runs through September 30.